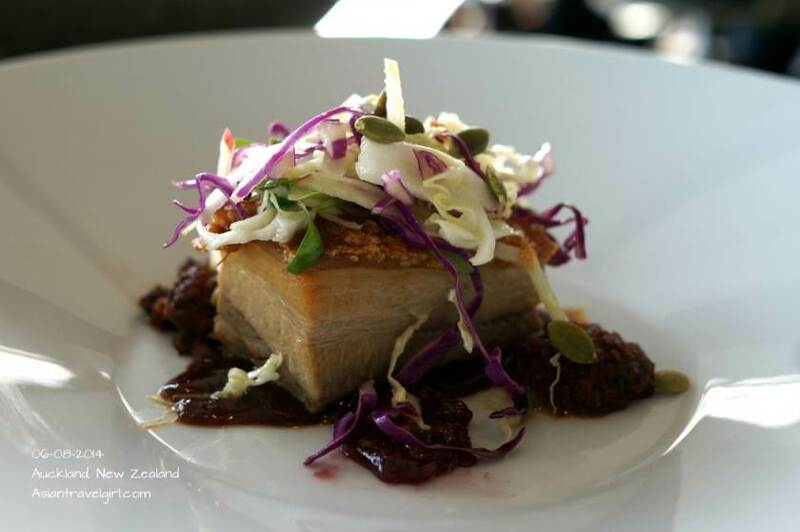 Stunning view of Auckland with brilliant food. 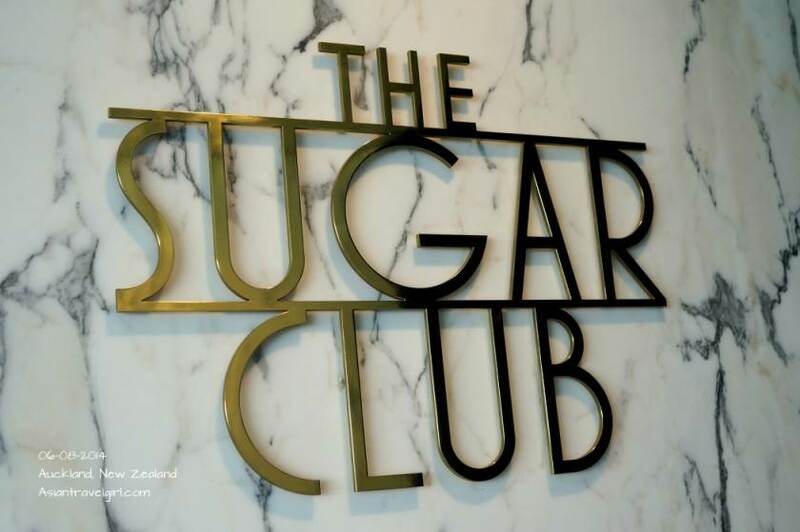 The Sugar Club is the fourth restaurant opened by Peter Gordon who is a famous New Zealand-born, London-based chef. 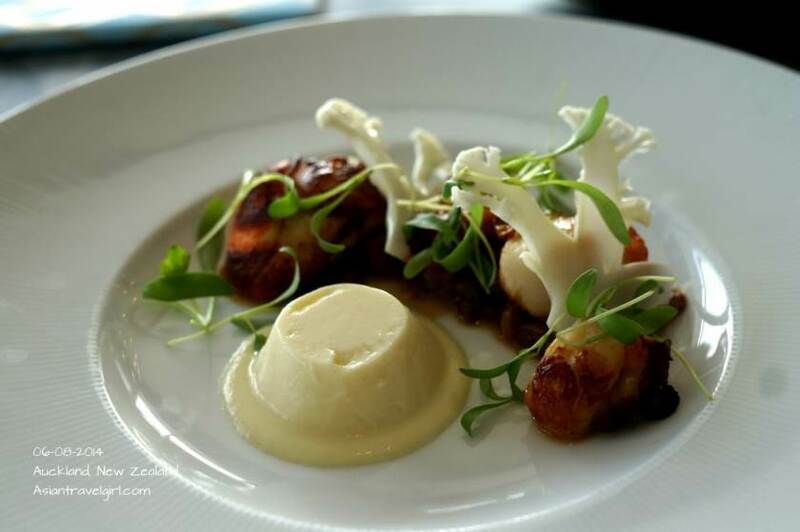 The restaurant is located on Level 53 of Auckland’s iconic Sky Tower. The restaurant itself does not rotate like the restaurant “Orbit” which is a level below. There is also complimentary valet parking for people who dines at the restaurant in the car park below. The moment we entered the restaurant I was amazed by the breathtaking views. There’s a lounge bar near the entrance, with comfortable looking sofa and wines in the background. According to the restaurant website, the decors were inspired by 1930s Art Deco Italy with stone table tops and brass fittings. Overall the restaurant has a clean and contemporary feeling. 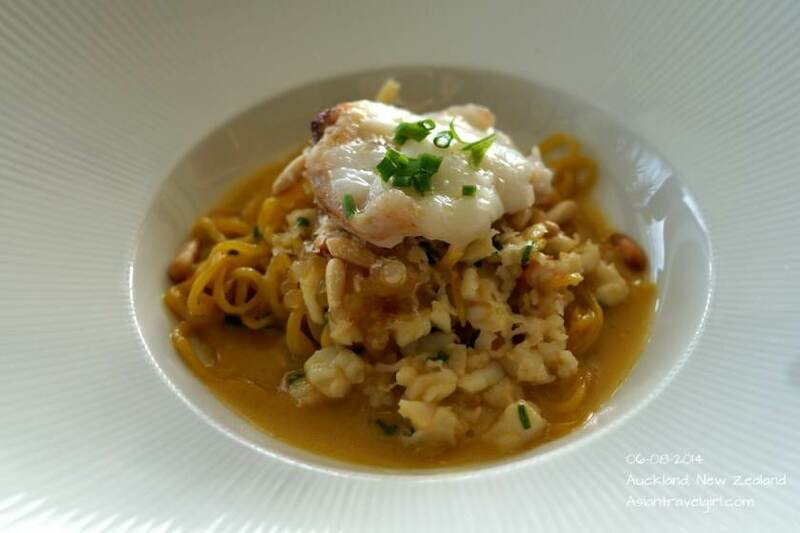 The menu here is not degustation or A la Carte, instead it is made up of various small dishes which encourages people to order and try wide range of flavors and ingredients. The food here is best described as “Fusion Cuisine”. 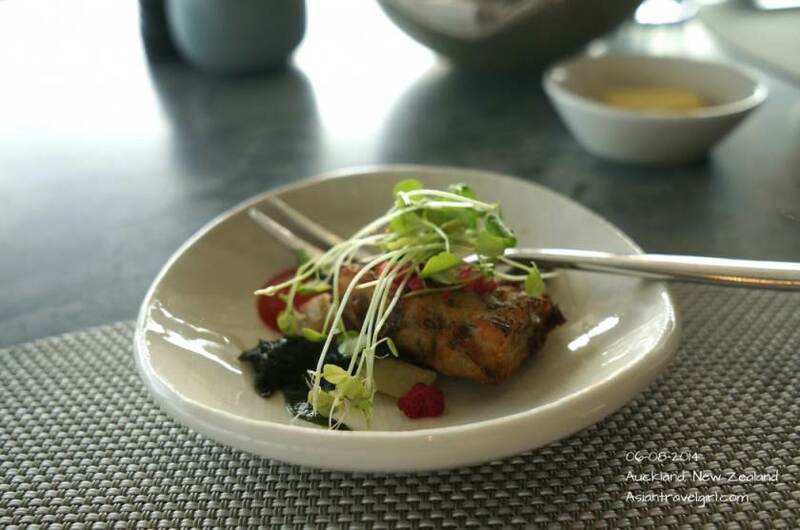 You can either select two dishes (NZD$56), three dishes (NZD$70), four dishes (NZD$84) or five dishes (NZD$98) per person for lunch. 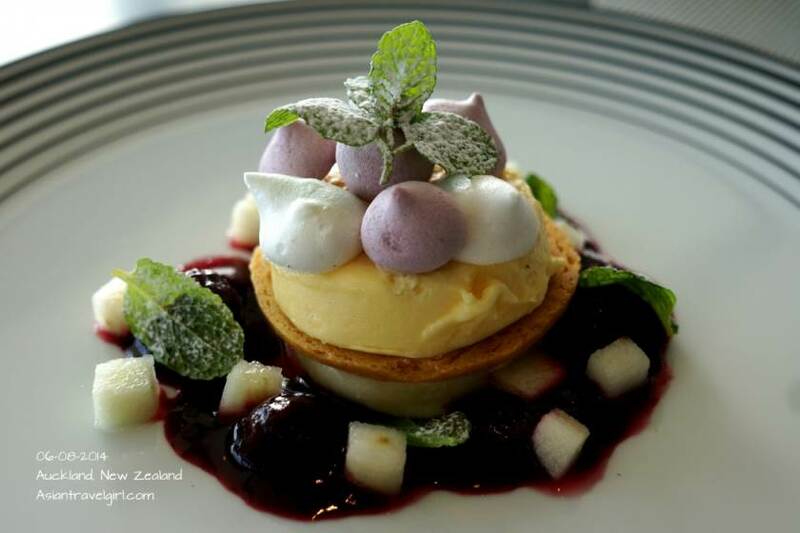 You can choose desserts for one or more of your dishes. 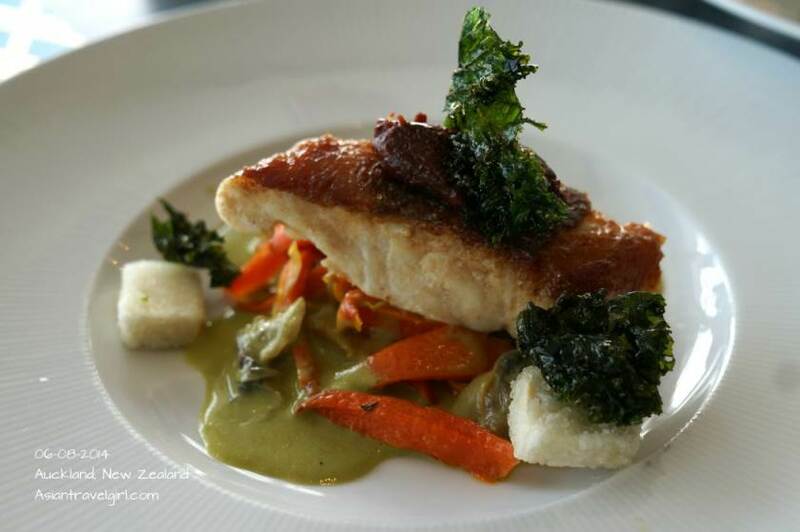 The amount food in the three dishes are equivalent to a starter and a main. 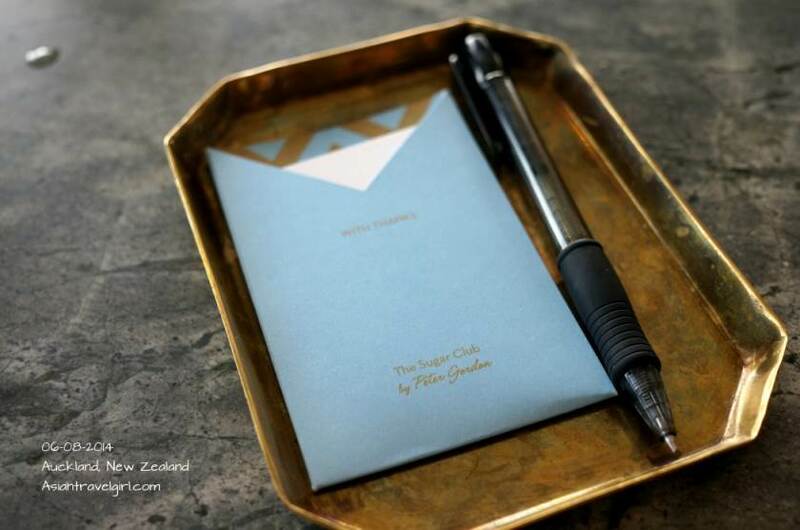 The menu combines the best seasonal New Zealand Produce with exotic ingredients around the world. 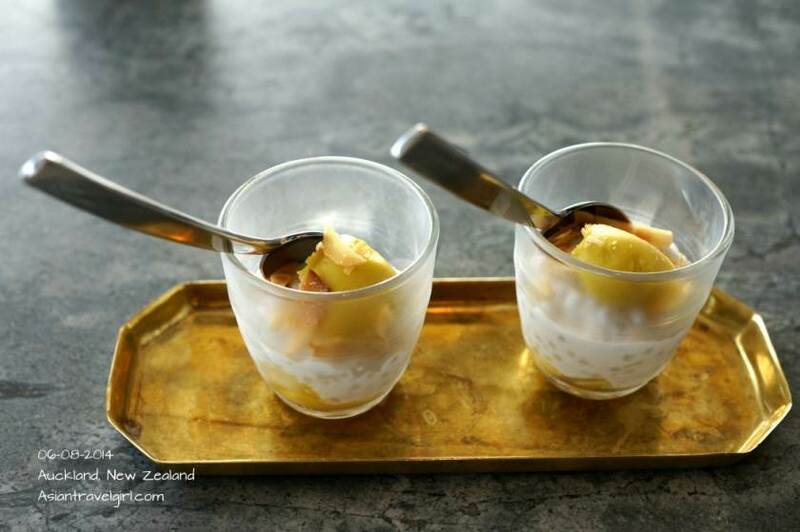 Many of the ingredients used were of Asian origin such as goji berries and coconut sago which was quite unique for me because they were used in a non Asian style of cooking. 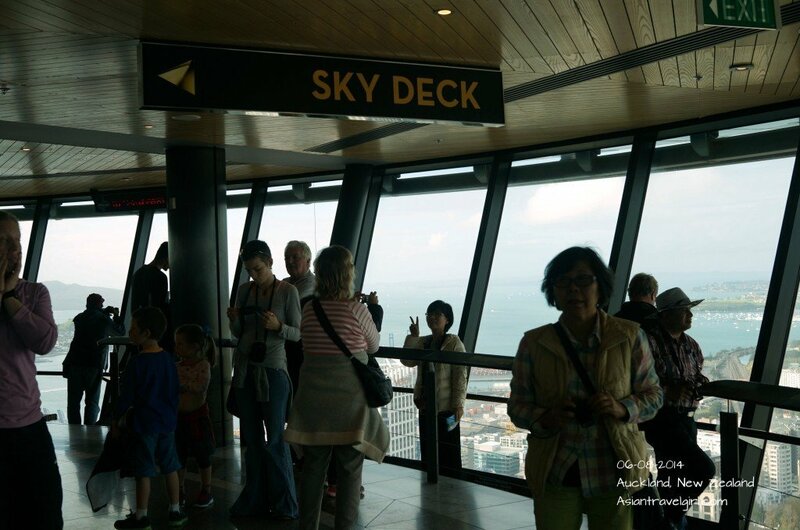 The restaurant is located on the same level as Sky Walk, a popular activity that allows people to walk on the edge of the Sky Tower. 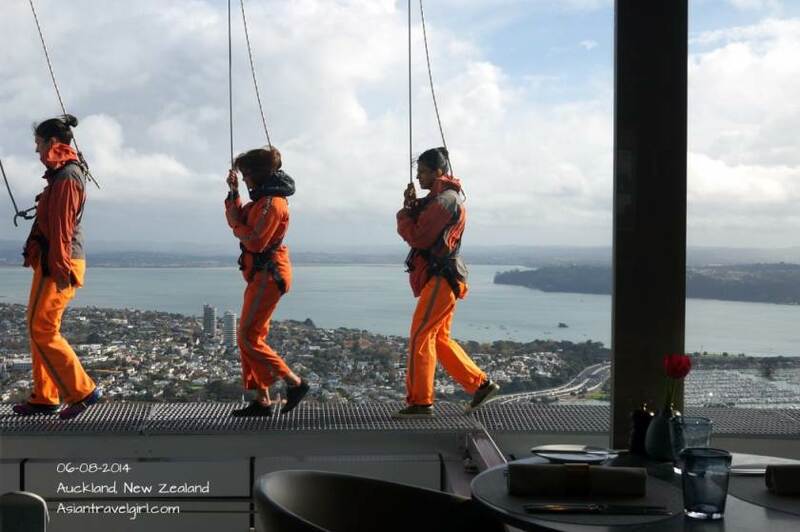 During dining, we saw various groups challenging their limits by walking 192m above the ground with no handrails, only safety harness attached. The dishes were a good mix of fusion with stronger flavoring compare to The French Cafe we had yesterday. We ordered 5 dishes and 1 dessert all together and was quite full afterwards. The waiters were very friendly and had a pleasant small talk with a Swedish waitress. 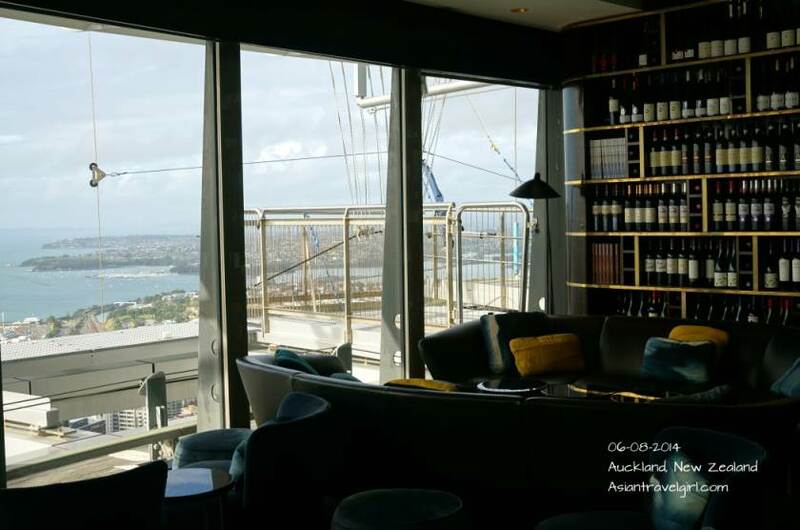 Be sure to request for a table next to the window when making reservations, it is different to the restaurant Orbit down below where all the tables are next to a window. 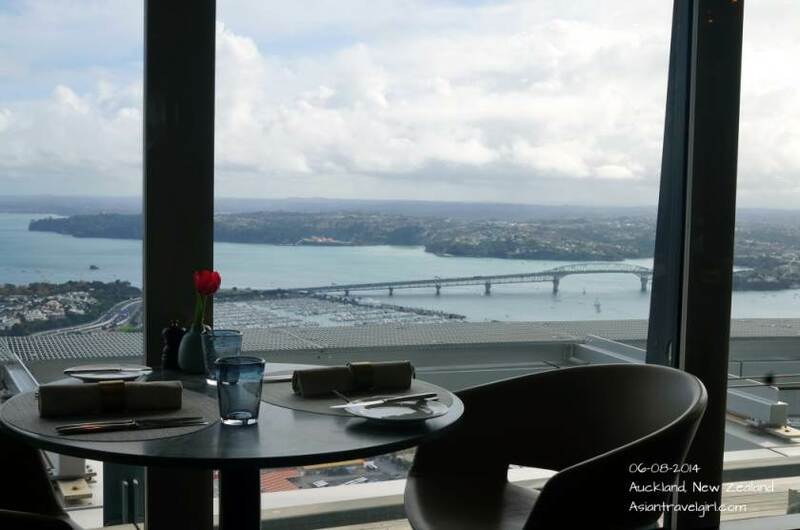 Entry to the restaurant includes complimentary visit to the Sky City observation deck which is located on Level 51; this alone costs NZD$28 per person. 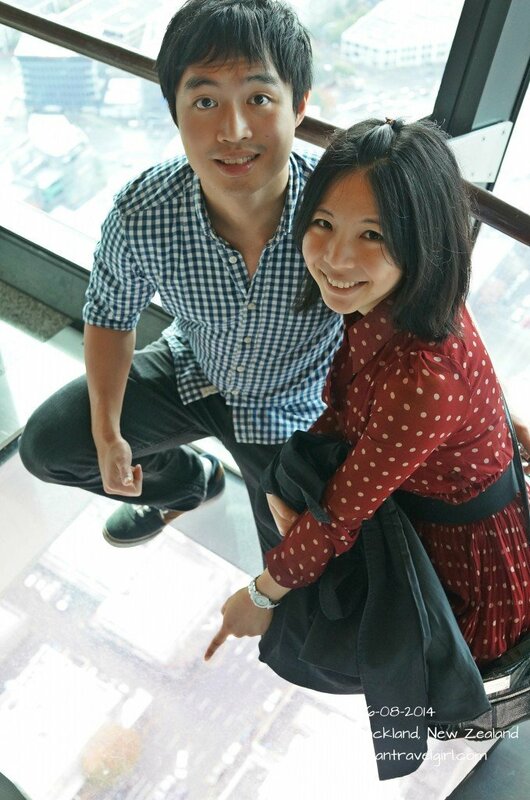 It is definite worthwhile to dine here if you want to take friends to observation deck. 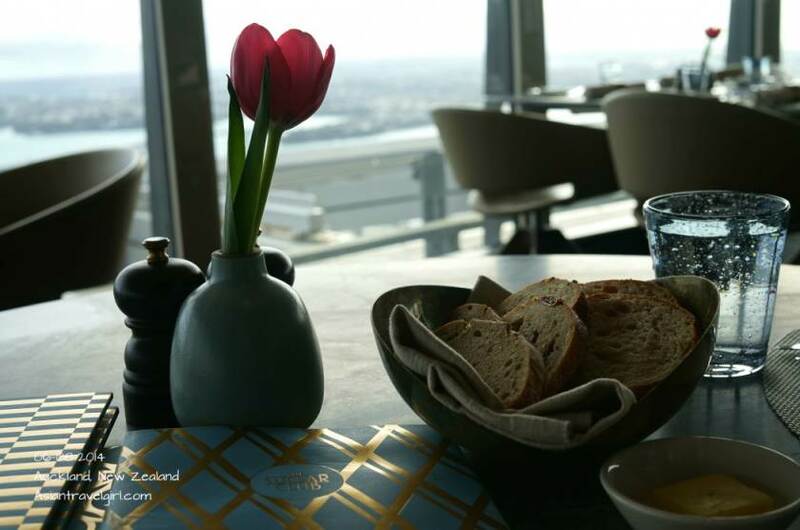 It was a great experience to dine here since you can see the amazing view of Auckland skyline. I would love to come here at night and look at the night view. Unfortunately the menu is the same for dinner but slightly higher price. I would probably consider to come here at night time for a drink instead. Wow! One of the most luxury places I have seen. 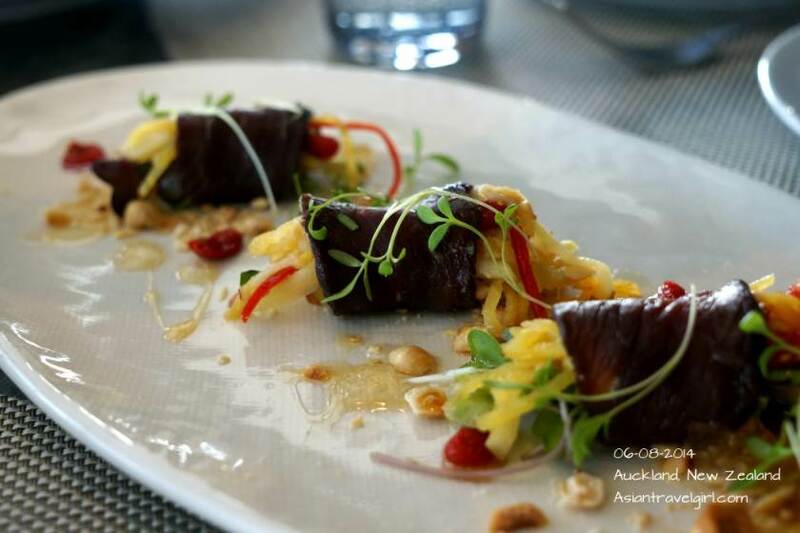 I have a business trip to New Zealand in August, it seems I’ll visit this restaurant and try looks like delicious food.